Investment Strategies for a Better Future. Investing in your future is one of the most important financial decisions you can make. Not only is it a way to create a comfortable retirement, but it’s also an important strategy that can positively affect your family’s peace of mind. At Dreher Insurance Agency, we’re committed to advising you on making smart financial decisions by offering investment services such as Mutual Funds. These pooled investments in assets like stocks, bonds, and money markets can help either individuals or employees benefit based on the performance of companies and securities that fall into any of the asset categories. Shareholders can then receive equity position in each fund. Since there are many types of Mutual Funds, it’s important to discuss your options with a professional who can advise you on how to invest wisely. Contact an investment professional at Dreher Insurance Agency to learn more about how Mutual Funds can benefit your financial future. Any investment involves risk and there is no assurance that the investment objective of any fund will be achieved. Dreher Insurance Agency has great customer service and even better experience with their services. They do some of the best work. When I call I always get to speak with a live, friendly, helpful person. I love this about Dreher. I feel like every interaction is personable. Everyone at Dreher Insurance is very accommodating. They are patient and answer all of my questions. I am grateful for their high quality services. I strongly recommend Dreher Insurance Agency to everyone becuase they take care of everything. They take care of my homeowners, business, auto and life insurance. They are great at communicating and keeping me up to date. For years I have been using Dreher Agency for my personal insurance needs, and recently moved some of my business insurance to them. I can't say enough about customer service, always handle my needs quickly and correctly, the 1st time. Would definitely recommend. I have worked with Dreher Insurance Agency for a long time. I really love the in house service and how quickly they get back to regarding any questions or concerns I might have. 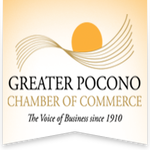 Proudly serving Stroudsburg, PA, Tannersville, PA, East Stroudsburg, PA, Brodheadsville, PA, Bartonsville, PA, Mount Pocono, PA, and surrounding areas.